Use an FTP client for uploading large and/or many files to your 3Play Media project. This upload method supports large media files but 1GB is the recommended size limit. While files exceeding 1GB can be added to folders in your FTP client though 3Play Media may encounter problems pulling files larger than the recommended size of 1GB into your 3Play Media account for processing. If you don’t already have a third party FTP client/application, there are many that can be downloaded for free. Below are two we suggest but feel free to research and download other FTP applications to find one you like best. We recommend either ClassicFTP or Cylberduck as both offer versions for MAC and PC users. PRO TIP! With FTP uploads different turnaround times can be requested for your media files by placing them in specially named folders as detailed in steps 8 & 9 below! Click Upload located at the top, left-hand side of My Files. Navigate to your project's FTP Connections Settings. If your account contains multiple projects, unique credentials are listed within each project's FTP connection settings page. Note: Note that changes made to these settings will be applied to other users' uploads within this project so be sure to let your team know these settings are being changed and if necessary, change the transcription settings back once the FTP upload is complete as these settings are applied to all other upload methods. Next enter your FTP Username and Password you obtained in step 3. In Connection Settings, change the Connection Timeout to 120 seconds. 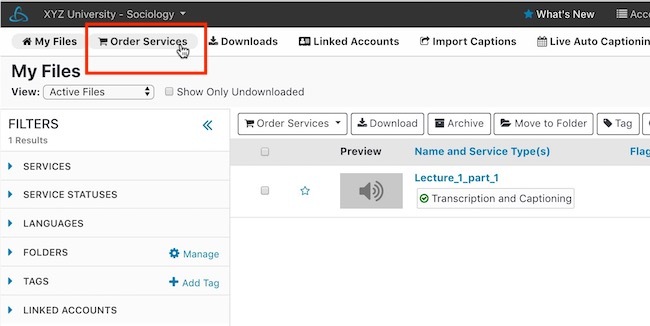 If a turnaround-level sub-folder is not present, the service will be set to Standard turnaround. Add your media files to folder representing the desired turnaround time. Folders with files on your FTP site will be replicated as folders in your 3Play Media account. Make sure you add the media file to the folder that represents the turnaround time you require. Once a file is added to a folder it permanently takes on the folder's set turnaround time. Turnaround times CANNOT be changed by moving a file to a different folder. Should this mistake occur, immediately log into your 3Play Media account and cancel the file before it moves to In Progress. See more information on how to CANCEL A FILE from your 3Play Media account. If files are put in a folder without one of these turnaround service levels specified it will default to our Standard four business day turnaround. The turnaround times offered can only be guaranteed is there are no duration violations relative to the amount of content submitted and the turnaround requested. 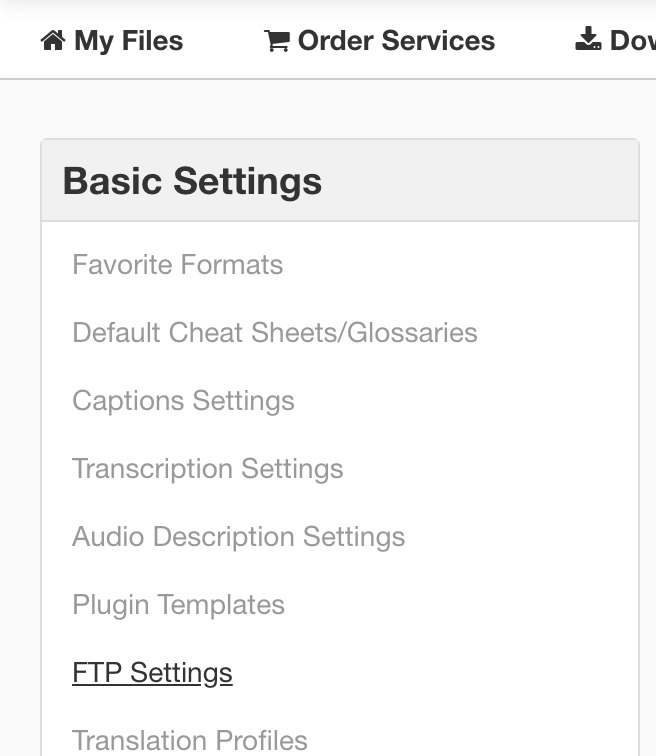 You can also upload files using FTP for 3Play Media's Transcript Alignment Service. After 5-10 days of a folder being deemed inactive, the folder will be removed from your FTP directory but not your 3Play account. An inactive folder and their contents may not appear in your FTP directory but these files and folders are still stored indefinitely in the 3Play Media account or project associated with your FTP credentials.